This page contains links to existing laws and rules for NH Fish and Game, plus proposed bills and proposed rule changes that might affect Fish and Game's constituents or operations. 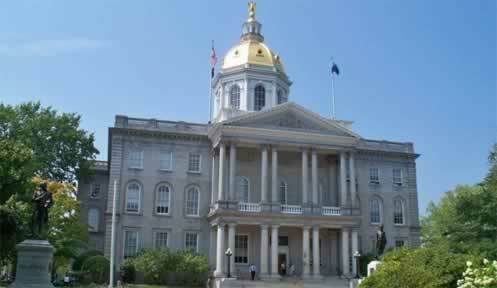 All current New Hampshire state laws can be found at the Revised Statutes Online website . Most laws for the NH Fish and Game Department are listed under TITLE XVIII: FISH AND GAME. It is through the legislative process that laws are adopted, repealed or changed. Interested in the status of a particular wildlife-related or other bill? Check out the State Legislation Dash Board for various ways to search bills to get up to date information. The NH Code of Administrative Rules is promulgated by state agencies under the Administrative Procedure Act (RSA 541-A). State Administrative Rules are used to specify the implementation of a statute and have the full force and effect of law. What is an Administrative Rule? Whenever Fish and Game is going to change a rule, the public process begins with the publication of the NOTICE form, which provides a summary of the proposed rules, the date, time and location of the public hearing(s) and the public comment period. After the public hearing, the Department publishes the Final Proposal, which contains the changes made as a result of public comment, and one of the last steps is when the Final Proposal goes before the Joint Legislative Committee on Administrative Rules (JLCAR) for their review and approval.